The latest figures year to 20th May 2016 in China shows Wal-mart and Yonghui are growing strongly in the West region. 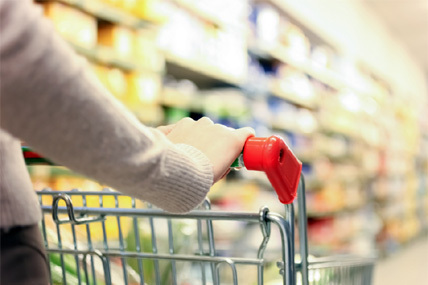 Kantar Worldpanel’s latest figures year to 20th May 2016 in China shows consumer spending on FMCG grew by 2.4% compared to the same period last year, considering this number for last year was 5.1%, FMCG market is experiencing further slowdown. Meanwhile, the West region is gaining more importance, its share increased from 16.0% year to 15th May 2015 to 16.8% year to 20th May 2016, mainly squeezing the share of the East region which dropped from 28.6% to 28.0% for the same time period. The West region’s growth is mainly driven by spending per trip and urbanization. Shoppers’ spend per trip in the West region grew by 4.8% year to 20th May 2016 compared to the same time last year, which is even faster than the number last year. However, there is much more room to grow trip spending in the West region, as the 104 RMB per trip is still much lower than the East (123 RMB per trip) and the South (112 RMB per trip) regions. Retailers in the West region also benefitted from faster urbanization, which accelerated the growth in this region. Wal-mart and Yonghui are growing relatively strongly in the West region. Wal-Mart further strengthened its leading position, its share growing from 5.7% to 6.4% year to 20th May 2016 compared with the same time last year. While Yonghui is catching up fast and overtook Vanguard to become the number 2 retailer in the West region, its share grew from 3.6% to 4.9% year to 20th May 2016 compared to the same time last year. Sun-Art group is stabilizing for the recent couple of months, while it performance is outstanding in the East region, its spending in the East region grew 10.4% year to 20th May 2016 compared to the same time last year, while total FMCG in the East region grew 0.3% year to 20th May 2016 compared to the same time last year. It also managed to grow penetration at a National level, while other retailers struggled with having to close stores, RT-Mart managed to keep all its existing stores whilst opening new ones.